Here at RAYMANCINI ACADEMY we have derived a comprehensive course structure that is specifically designed for individuals to gather the necessary understanding behind mandatory work-health and safety rules and regulations. This course will enable individuals to identify basic risk control procedures and identify procedures for responding to potential incidents and emergencies within the workplace environment. There are no prerequisites units required as such. It is expected that individuals have basic literacy and numeracy skills equivalent to at least Year 9 standard. This course requires the completion of one nationally recognised unit: CPCCWHS1001- Prepare to work Safely in the Construction Industry. Students will be issued with an Occupational Safety and Health White Card and Statement of Attainment upon successful completion of this course. There are no specified options for Recognition of Prior Learning (RPL) for CPCCWHS1001- Prepare to work Safely in the Construction Industry. Successful completion of this course will enable individuals to work in the construction industry. Employment may be sought in organizations’ requiring construction workers, labourers, security officers (on a construction site), or any other related occupation associated with the construction industry. 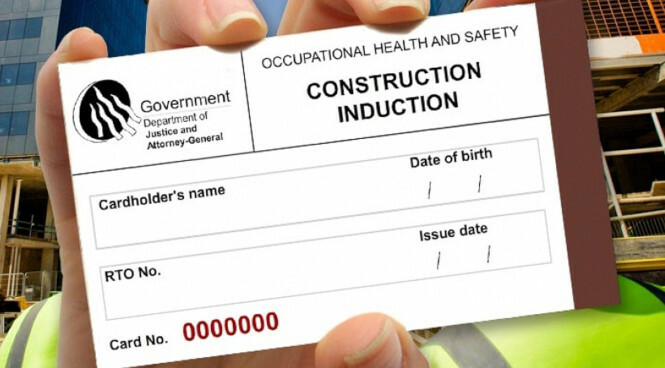 After the successful completion of the CPCCWHS1001- Prepare to work Safely in the Construction Industry, students then have the option to further progress their studies even further with the completion of the BSB30715 - Certificate III in Work Health and Safety or BSB41415 – Certificate IV in Work Health and Safety.